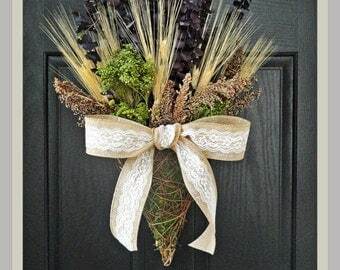 Dried flowers on the front door adds great visual interest and can be changed out seasonally. 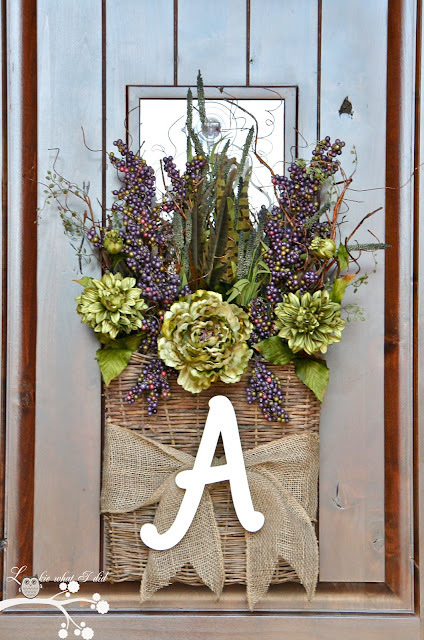 Artificial flowers can also add visual interest to a door. They don’t have the profound effect of fresh florals, and are often less textured than dried florals, but they can add color and style, and are long lasting. One of the keys to using artificial flowers is to use quality materials so they look more real and/or used very artistically. For example, look at this black rose wreath against this bright mustard door. Great visual impact and very tastefully done. 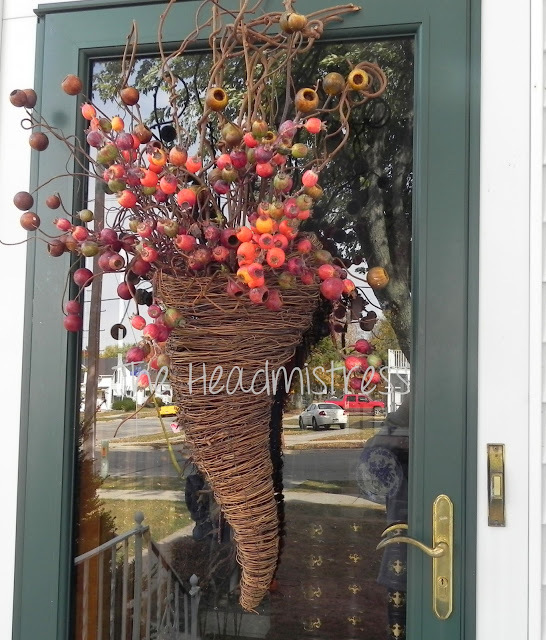 Soooo….go examine that front door of yours and think about how to add some Welcome Home florals to it.